How Do I Transition Vocally from John Mayer to Avenged Sevenfold? The vocal difference between John Mayer and Avenged Sevenfold is more than I could possibly cover in an article. They’re nearly at opposite ends of the vocal spectrum. But let me give you a few pointers that’ll help you to start moving in the right direction. First off, John Mayer sings with a very breathy, unstable sound. That’s one of the charms to his voice (not saying it’s bad, it’s just a stylistic choice). One of the first things you’re going to have to start learning to do is get cord closure and work towards balance your voice. I have a handful of different videos describing the different “ingredients” needed to obtain vocal balance on My Youtube Channel. Each of these (besides maybe the “How to Practice Singing” video) will directly help you move in the direction of building the right coordination for singing more like Avenged Sevenfold. Once you feel like you have the concepts outlined especially in the “Vocal Warm Up Exercises” video and the “Breathing and Singing” video, start looking up videos on youtube on how to create a mix. I suggest the Singing Success youtube channel. 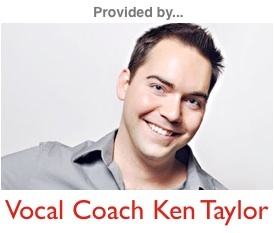 Brett Manning is a great vocal mentor of mine, and is a phenomenal vocal technician. Just be sure to get used to the concepts in the Warm Up video and the Breathing and Singing video before you move on… they’ll be really important for you. I hope that this helps, and wish you the best of luck along your vocal journey!